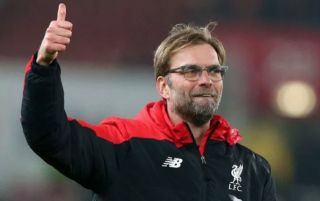 Liverpool showed significant improvement defensively in the second half of last season, but Jurgen Klopp is reportedly keen to strengthen in that department. The Reds ended the campaign with the joint-third best defensive record in the Premier League, conceding 38 goals in 38 games as they secured Champions League qualification. However, it was only after the January arrival of Virgil van Dijk, which coincided with the improved form of Dejan Lovren and the continued improvement of Andy Robertson that they finally made defensive progress to compliment the attacking quality that they had in their feared trident up top. Klopp was able to capture a balance to an extent with Mohamed Salah, Roberto Firmino and Sadio Mane leading their charge, which led to a top-four finish and a run to the Champions League final. Nevertheless, according to The Sun, via Turkish outlet Aksam, the Liverpool boss wants to bolster his defensive options further as he is said to be eyeing a £13m swoop for Besiktas ace Domagoj Vida. The 29-year-old is currently playing a key role in Croatia’s run at the 2018 World Cup, offering solidity alongside Lovren in the heart of the defence as they prepare to face Denmark in the quarter-finals on Saturday. With his no-nonsense approach and the solidity that he can offer, it could be a sensible addition for Liverpool to add quality and depth as they prepare to compete on multiple fronts next season. Klopp currently has Ragnar Klavan and Joel Matip as alternative options, but it’s questionable as to whether an upgrade is needed in that department with the experienced Vida seemingly now emerging as a potential option this summer perhaps after his World Cup campaign has concluded.